We are a dental practice devoted to restoring and enhancing the natural beauty of your smile using progressive, state-of-the-art procedures resulting in beautiful, long lasting smiles! As a practice, we are true believers that preventive care and education are the keys to optimal dental health. We strive to provide “dental health care” vs. “disease care”. 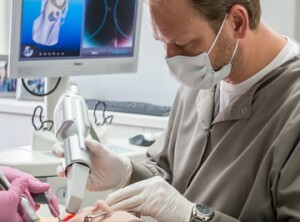 We focus on thorough exams – checking the overall health of your teeth and gums, performing oral cancer exams, and taking x-rays when necessary. We also know routine cleanings, flossing, sealants, and fluoride are all helpful in preventing dental disease. Not only are we focused on the beauty of your smile, we’re also concerned about your health. A review of your medical history, any new medications and any illnesses impacting your dental health can help us stay informed of your overall health. As your dental health professionals, we want you to be confident knowing we are a team of highly trained and skilled clinicians. We pride ourselves in providing the care you need to keep your smile healthy. To give you the best possible service and results, we are committed to continual education and learning. 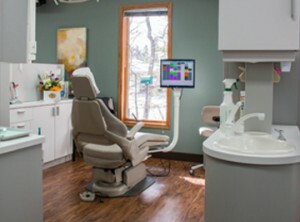 We attend dental lectures, meetings, and dental conventions to stay informed of new techniques, the latest products, and the newest equipment a modern dental office can utilize to provide state-of-the-art dental care. Also, being members of both the Michigan & American Dental Association helps us stay abreast of changes and recommendations for our profession. Both Dr. Fritz and Dr. Kamminga have served for years on the Ottawa County Dental Van, serving children at area schools. Donated Dental Services – Both Drs. are active participants in this Michigan Dental Association program, providing free dental care to elderly, disabled, or medically fragile patients of low income that have no other means of getting the dental treatment they need. Casa de Esperanza – Dr. Kamminga has taken several trips to Hunduras with this mission organization, providing dental care for the impoverished villages in central Honduras. Building a foundation of trust by treating our patients as special individuals is vital to our success. 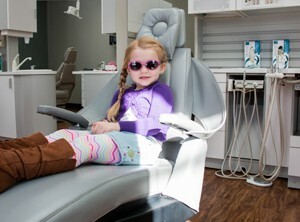 We understand how uneasy some patients may feel about their dental visits. We can make a difference in providing a relaxing and positive experience. Our entire team is dedicated to providing you excellent, personalized care and service to make your visits as comfortable and pleasant as possible.